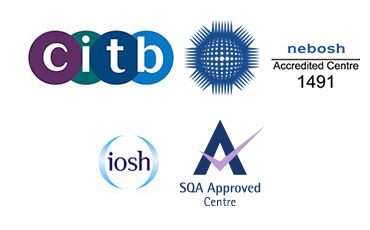 The Certificate will develop knowledge and skills in areas such as general health, safety and welfare in the workplace. Learners can specialise in installing fitted furniture in the workplace and moving, handling and storing resources in the workplace. This qualification is for England and Wales. It can be delivered by employers, training providers and colleges. It is intended that the qualification will allow learners to evidence experience of topics based on accepted and recognised industrial practices. The Diploma will provide a sound basis for advancing in the industry for a range of potential learners. The primary purpose of this qualification is to confirm the learner’s occupational competence as a fitted interiors operative. Achieving this work-related, competence-based qualification will provide confirmation to employers, industry managers and card schemes that learners have the skills and knowledge needed to meet the national standard to carry out the role of a fitted interiors operative. The qualification is assessed through a portfolio of evidence which details what learners have completed at work through a variety of evidence such as observation, professional discussion, witness testimony and supporting documentary evidence. The assessor can work alongside the learner to confirm that they have met the requirements of the qualification and that they are therefore competent in their role. The assessor will observe the learner as they carry out their normal work activities, showing that they can do this competently and to the industry standard and that they can comply with current legislation and company procedures. The assessment process will ensure that the learner can complete the tasks that they have been directed to undertake and that they can interpret the instructions correctly. They will demonstrate that they can select the appropriate resources for the task, and show that they can complete tasks within the given timescales and specifications. This qualification is supported by CSCS (the Construction Skills Certification Scheme). This qualification has a range of pathways linked to typical job roles that learners will encounter within the industry. To achieve the whole qualification, learners need a minimum of 35 credits, and must complete four mandatory units. Learners do not require any specific skills, knowledge understanding or any other qualifications before starting this qualification, but they must have the potential and opportunity to gain this qualification successfully. Learners may progress from the Level 2 in Fitted Interiors (Construction) to a range of qualifications at Level 3 and above, including Occupational Work Supervision.